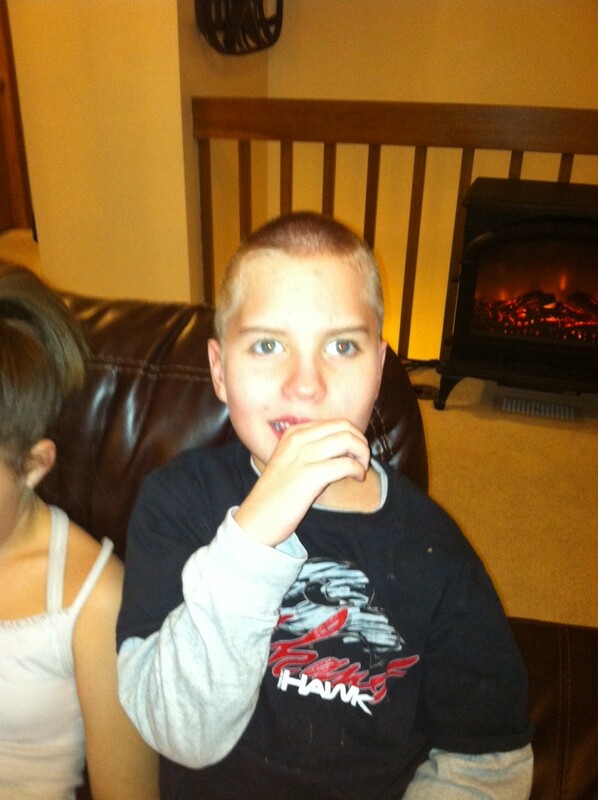 Tonight we did the team effort thing and cut Ryan’s hair. It was getting really long and needed a trim but with surgery in less than two weeks, I knew we needed to cut it short since they will be shaving a huge strip of his hair. Travis wasn’t home which is really a good thing because he hates to hold Ryan down, and it took three of us to get it done but he looks like a different kid. I have to admit I wasn’t prepared for how visible his scars are with his hair buzzed. It brought a flood of emotions in and I kept saying “his scars are so noticeable. Your dad really isn’t going to like this”. Sidney replied several times “It’s OK, mom. It doesn’t matter”. Not the best lighting but you can see the gaps where he doesn’t have any hair growth due to the extensive scarring on his head. Otherwise things are OK here. This past weekend my dad came down and we had a great time celebrating birthdays with my sister’s family too. Tomorrow we are celebrating one last time before I turn the big 4-0 next year but at least no one ever thinks I’m as old as I am. Travis is working from home tomorrow so we’ll go out to lunch then do something for dinner as a family but otherwise it’s just another day with dishes and laundry, but of course that stuff doesn’t ever end no matter what day it is. We don’t have any games this weekend but next week gets busy as we prepare for Ryan’s surgery on the 6th. It always takes me several days to get everything in order – laundry, cleaning the house, organizing rides and appts, pre op appts, phone calls. I’ve already done most of the prep work to be gone but there is always stuff that comes up or can’t be done too far ahead of schedule. I feel like we’ve done this hospital thing enough times I should have it down by now but there is always the flood of emotions that comes up again and again. I so wish for one day with no seizures, but that’s not going to happen. We are beyond hoping for a cure and now simply pray he can do simple things some day like drink out of a straw or say more than just no and go without being cued. I am going to have to work weekends for a while after surgery until Ryan can get back to school so that is going to be rough but I simply don’t have the time built up to take an extended leave without feeling it financially. And that’s fine; it simply makes things hard with the kids’ activities. In the end what matters is that we are blessed to have flexible schedules and understanding kids. We have another McClintick dinner this coming weekend then my sister comes from Philly the following weekend and will be here for while Ryan is hospitalized. I am really looking forward to some girl time with my two sisters and a big Super Bowl party the night before surgery. We are so blessed to have a very close knit family and I don’t know what we would do without them all. 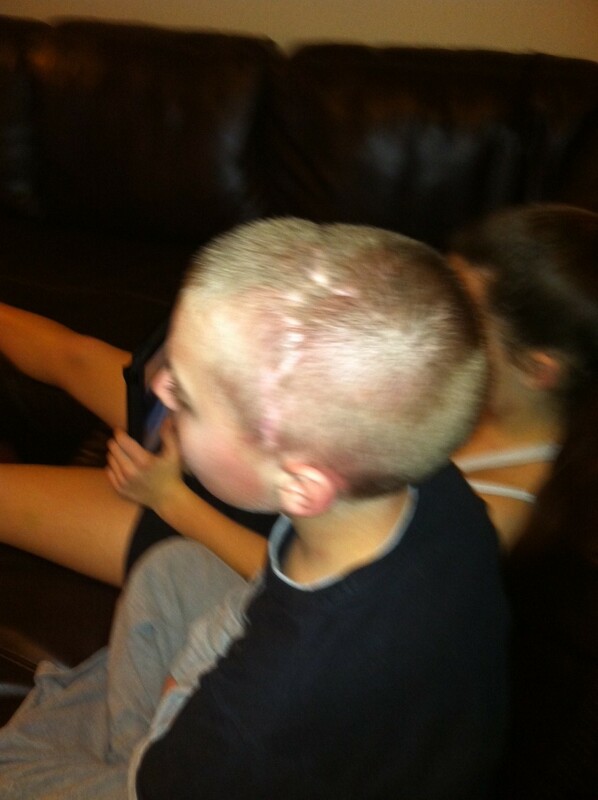 This evening I was sitting on the couch looking at the extensive scars on Ryan’s head. Before I cut over two inches of his hair off tonight, you would never have known those scars are even present. But once his hair was cut away, the scars can’t be hidden anymore. And now everyone he sees is going to realize he has an extensive medical background because his past is so noticeably present right there on his head; of course it’s always obvious he is disabled. I realized how many scars we all carry from past hurts, disappointments, situations that seem hopeless and all the broken dreams that no one even knows are there. And I wonder how our lives would change if they were exposed for others to see. How others would respond to us. How many lives we would impact if those scars were out in the open. Those scars on Ryan’s head are proof of how tough he is, how much he has endured over the years yet he is still full of laughter, smiles, nosey kisses and baby step progress. They show the faithfulness of God in his life. And our scars can do the same for us if we allow them to. 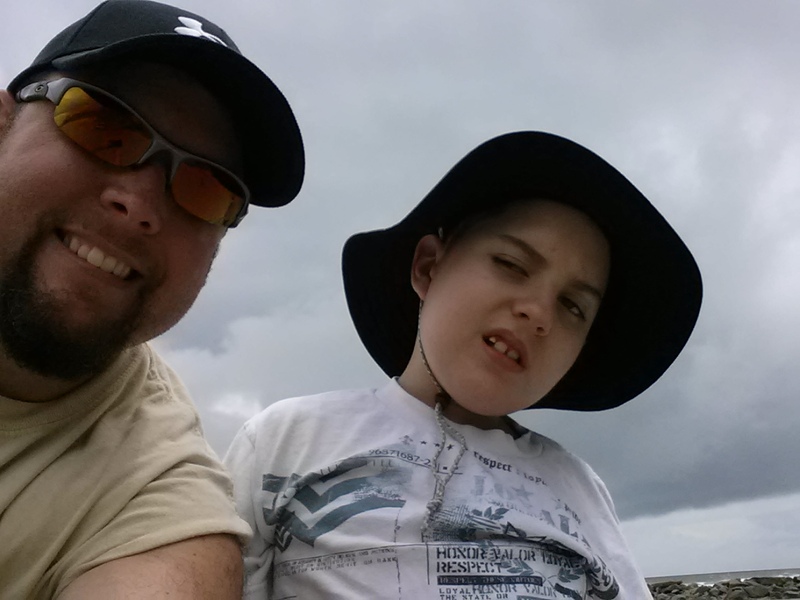 Keeping Ryan in prayer with the coming surgery coming up. Can see how the scars really brings back all he has gone through. So you are going to be 40. Still young. My youngest will be 43 this year and my oldest 57. ( Just can’t figure out how they all pass me being (29)!!!! Hee Hee. Happy birthday mom!! ❤ love ya bunches! You're are an awesome mom! You have so many people that are with you! 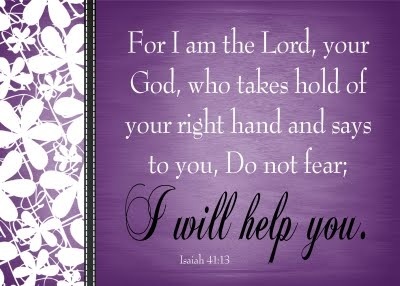 Don't worry God is with you!!! As I read this, I was reminded of the book I’m reading now, “Little Bee”. In it, the main character says, “Agree with me that a scar is never ugly”…and “A scar means, I survived”. 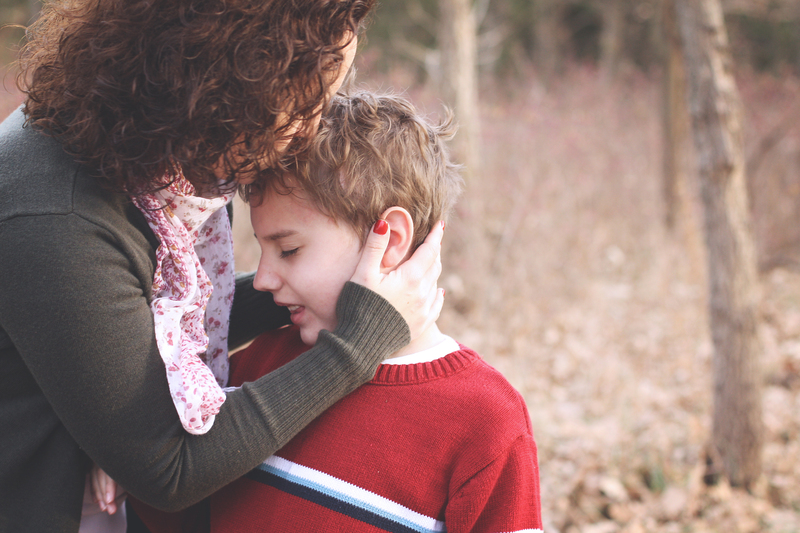 I don’t know if these words help at all, but seeing your post made me think of the scars our kids have. Each one tells a story, and each one leaves a scar on our hearts as well. 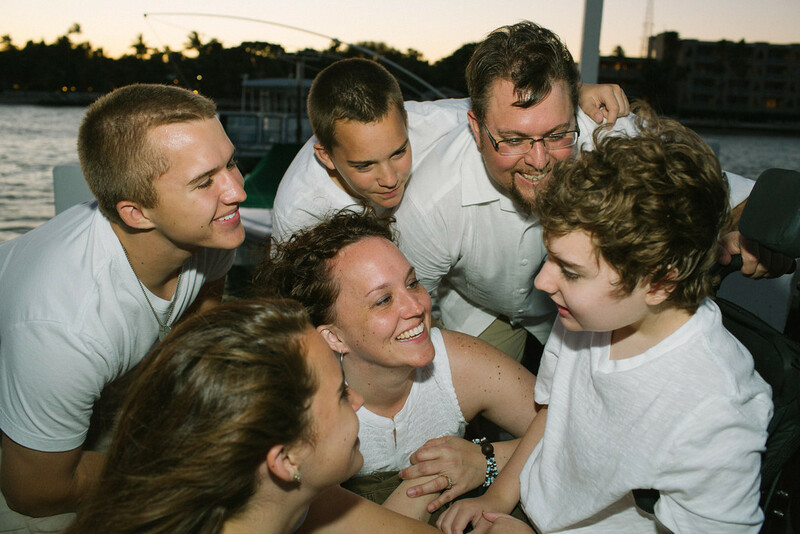 I will be thinking of you, and praying for Ryan, your family, and his medical team. Sleep well! !